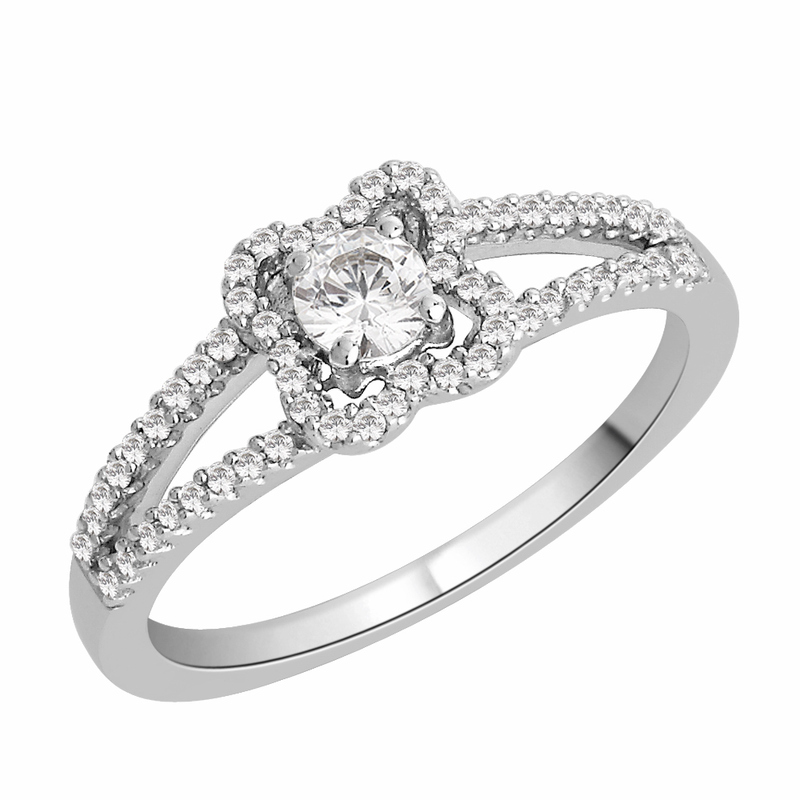 This Beautiful Diamond Engagement ring is set with a 0.40ct round brilliant cut diamond to the centre with a Halo of diamonds in a Flower shaped round the centre diamond. The shank has been split and it set with 0.20ct of round brilliant cut diamonds. This ring is made to order and take approximately 3 weeks.